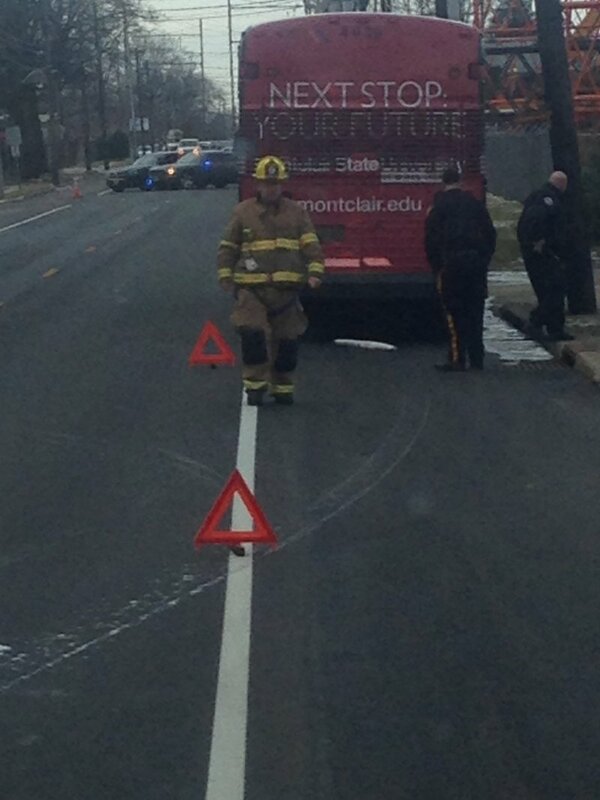 Monday, January 26, 2015 Battalion Two was dispatched to Broadway and Florence Avenue for highway hazard. 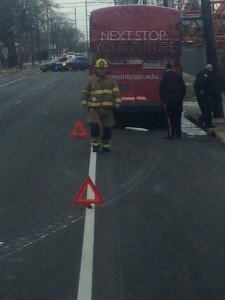 Engine 921 arrived on scene to find a NJ Transit bus that had broken a hydraulic line and spread hydraulic fluid all over the roadway. The crews applies oil dry to the oil on the roadway and blocked the flow of oil from the motor, preventing the oil from entering a nearby storm drain. A NJ Transit supervisor was on location reporting that he has assistance responding to handle the clean up. Crew went available at this time.